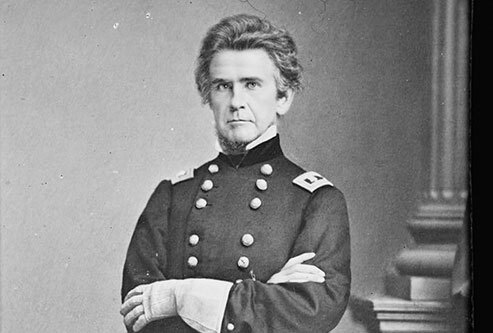 Major General Ormsby M. Mitchel, West Point graduate, astronomer, attorney, professor and Mitchelville namesake. Before the Emancipation Proclamation was signed in 1863 and at the height of the Civil War, a group of escaped slaves, considered “contraband of war”, set about creating their own town on the grounds of the former Drayton Plantation on Hilton Head Island. Here Union General Ormsby Mitchel, created an actual town – instead of one of the more prevalent camps – with orderly streets, simple but accommodating wooden homes, a church, and most importantly, gave its inhabitants the freedom to govern themselves. 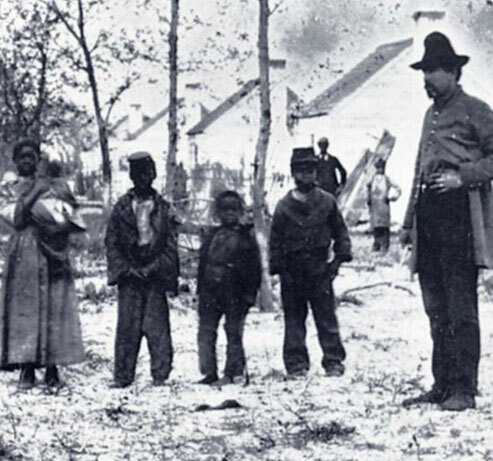 Mitchelville family with a Union soldier, circa 1861. The newly minted citizens went about their business with elections, enacting various laws, collecting taxes, making a living, and naming their town “Mitcheville”, in honor of the forward-thinking General Mitchel. A compulsory education law for children was enacted— most likely the first such law in the South. Today, over 150 years after the Civil War began, local Gullah, direct descendents of Mitchelville, carry on the traditions of their history-making ancestors and work with a diverse group of Islander’s to preserve and promote Mitchelville and its story of freedom. While a work in progress, The Mitchelville Freedom Park, located on Beach City Road, has been fitted with a covered gazebo, an observation platform looking out toward Port Royal Sound, and kiosks telling the Mitcheville story through words and historical images. 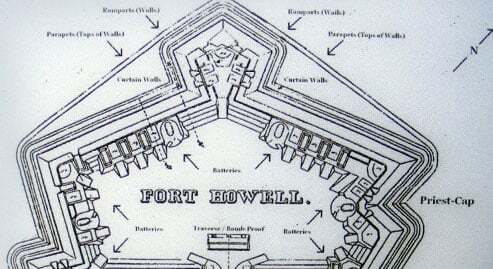 Fort Howell is an earthworks fort built in 1864 by the 32nd United States Colored Infantry Regiment (Union) from Pennsylvania. Open to the public, it is adjacent to Beach City Road, look for the historical marker near the main gate. Plans are in process by the Mitchelville Preservation Project to construct replica structures and offer learning opportunities to the public through lectures, exhibits, tours and special events. It is the desire of those dedicated to the preservation of Mitchelville that the physical site exists as historical fact, but also that it’s very human, very American story of hope and perseverance serves to educate and inspire us all.